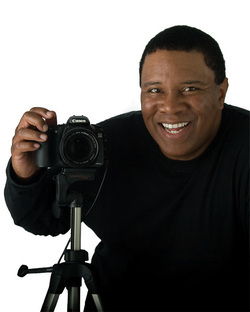 Michael Jackson, professional photographer and creative entrepreneur has had one of the most intellectually stimulating careers. Jackson initially studied music during his undergraduate life but quickly began to write his own music software leading to the organization and founding of multiple upscale business conglomerates, including his own software consulting company. Jackson frequently remains behind-the-scenes of many prestigious projects, working with various professional artists while recieving invitations to photograph stills on movie sets. Jackson currently enjoys promoting local talented musicians. Though Michael has a classical clarinet background, his focus was mostly on rock and pop. “I think it’s a shame that most classical musicians study so hard, but don’t have the opportunity to reach a large portion of the contemporary audience.” Classical Open Mic will be a place where classical musicians from students to paid professionals can show off their skills in front of an audience that they wouldn’t usually be able to reach. “The environment of a bar or a restaurant might not seem like the most conducive place for a classical musician, however, that might be because they are never given the chance to play in such an environment,” says Kristin. Remember, classical music was the entertainment of its day. People didn’t just go out and sit stone-like and listen. “In a way, Mozart was kind of like the Michael Jackson of his day,” says Kristin. The difference between Mozart’s audience and today’s audience is that his audience knew the music because it was thepopular music of the day. Mozart actually wrote notes about his scores anticipating the audience to clap or cheer after a rousing passage. If his audiences sat emotionless like today’s classical audiences and didn’t react like enthusiastic fans at a Michael Jackson concert, Mozart would have been horrified. “Our whole idea is to get the audience and the musicians to engage with classical music again just like they do with pop music,” says Kristin.